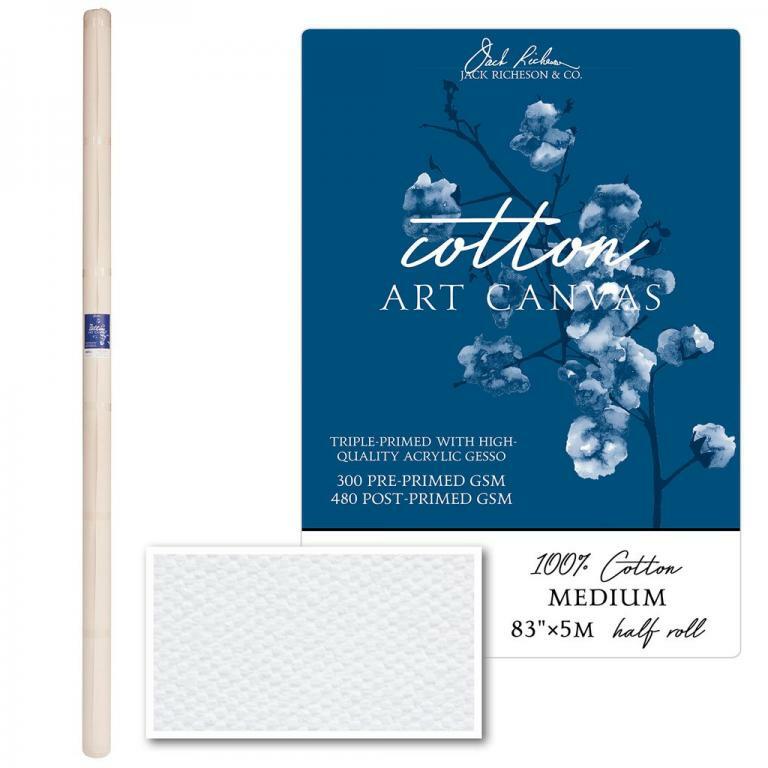 Primed Cotton Art Canvas Rolls Jack Richeson & Co.
Triple-primed with professional acrylic gesso. Made in India. Available in three different weights and textures. The Extra-Fine cotton canvas is 105gsm (3 oz.) pre-primed, 280gsm (9 oz.) primed, the Fine cotton canvas is 200gsm (6 oz.) pre-primed, 380gsm (11 oz.) primed, and the Medium cotton canvas is 300gsm (9 oz.) pre-primed, 480gsm (14 oz.) primed.